‘Joy Club’ membership costs Rs 299 (excluding GST) and is valid for three years. Offers benefits like discounts on spare parts, free bike wash and more. The 2 lakh mark was achieved in less than two months of its debut. Honda Motorcycle & Scooter India rolled out its first-ever loyalty program called the ‘Joy Club’ in October 2018, during the festive season. For a fee of Rs 299 (valid for three years), members can avail benefits ranging from discounts on spare parts, free vehicle washes and more. New Delhi, December 5, 2018: Delighting the ever-growing customer base, Honda Motorcycle & Scooter India Pvt. Ltd. today announced it crossed 2 lakh plus registrations for its unique customer loyalty program ‘Honda Joy Club’ since its launch in October 2018. 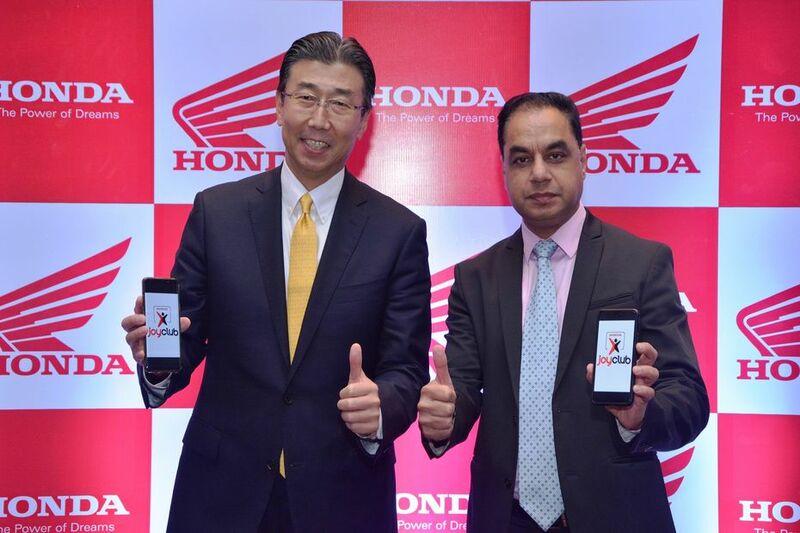 ‘Honda Joy Club’ is a first-of-its-kind loyalty program with unprecedented concept having unmatched benefits for both existing and new Honda 2 wheeler customers. It’s the biggest and 1st digital loyalty program in the history of Indian 2wheeler industry! With the aim of elevating customer delight, now Honda Joy Club has crossed 2 lakh plus registrations in less than two months! India is leading Honda’s global two-wheeler business and contributes 32% to Honda’s sales worldwide. In its 18 years’ journey till now, Honda 2Wheelers India has delighted over 39 million Indian families. Unparalleled Scale - From complimentary Kisan Samadhan services to offers on international holidays, there’s something for everyone! Unmatched Benefits - Instant Gratification for customers, more than 7 times the enrolment fee!